Enchants with a delightful experience. Belgian Chocolatier GODIVA has reinforced its impeccable Belgian craftsmanship in its large variety of chocolate products. 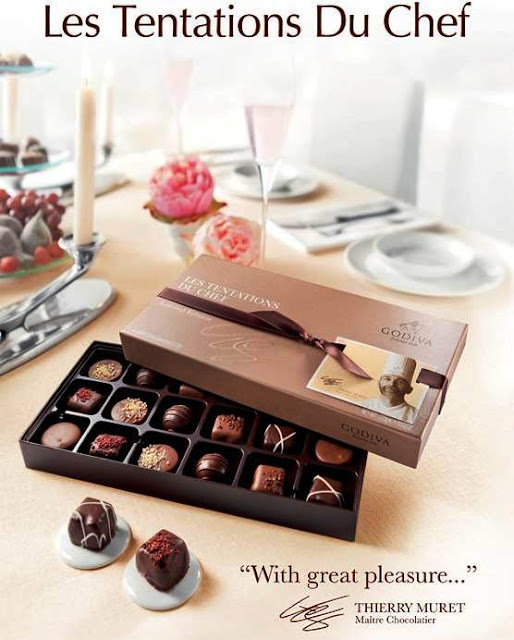 This year, GODIVA presents an exclusive high premium Limited Edition gift box - The Chef Collection 2013. This includes the most precious chocolates from the creative mind of Global Executive Chef Chocolatier, Thierry Muret. All six pieces are as superb as Haute Joaillerie, shining like a star. Discover this indulgent collection inspired by Thierry Muret’s experience in Godiva’s kitchen and atelier. This collection includes sophisticated crafted chocolates, true reflections of Godiva’s refined craftsmanship and Thierry Muret’s innovative taste and passion.